DAYTONA BEACH, Fla. – American Flat Track returns to action Saturday at Texas Motor Speedway in Fort Worth, Texas, for the Al Lamb’s Dallas Honda Texas Half-Mile presented by Russ Brown Motorcycle Attorneys. The opening two rounds in the AFT Twins presented by Vance & Hines championship battle have proven both intense and unpredictable. Reigning Grand National Champion Jared Mees scored an amazing 20 wins in 31 attempts during a historically dominant stretch that spanned much of the 2017 and 2018 seasons, resulting in two runaway titles. However, Mees is now winless in the last seven main events and ranks fifth in the 2019 standings. Daytona TT winner Briar Bauman leads the series points, followed closely by Atlanta Short Track victor Brandon Robinson. 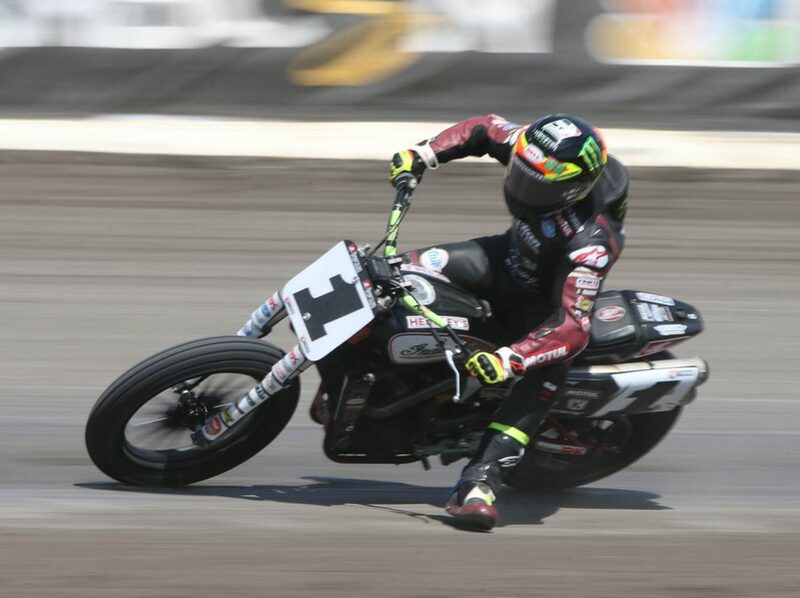 Mees was victorious at last year’s Texas Half-Mile and is no doubt eager for a return to his dominant ways. But if there’s any rider even more motivated to win this weekend than Mees, it has to be his long-time rival, Bryan Smith. Smith broke his left fibula in a spectacular, multi-rider crash at Texas Motor Speedway a year ago. That incident effectively derailed any hopes he had to reclaim the No. 1 plate that Mees took off him the season prior. It also hindered him from rediscovering him winning form until late in the season. But once he did, he was nearly unstoppable, taking three wins in the final four races of 2018. Smith reunited with the title-proven Crosley Brands/Howerton Motorsports Kawasaki effort for 2019, but he’s still looking to remind the field just how potent that pairing can be. Meanwhile, in the Roof Systems AFT Singles presented by Russ Brown Motorcycle Attorneys class, Atlanta Short Track winner Dalton Gauthier, Daytona TT winner Jesse Janisch and reigning class champion Dan Bromley enter round three of the Roof Systems AFT Singles season ranked first through third, respectively. Don’t sleep on American Honda-backed Mikey Rush. The former AFT Twins standout has made an admirably seamless transition to Roof Systems AFT Singles duty. 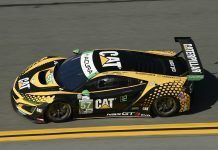 He currently sits fourth in the standings and should only continue to gain speed as the season progresses. Rush and his teammates, Cameron Smith and Cole Zabala, will be defending their sponsor’s home turf this weekend as they look to put Al Lamb’s Dallas Honda on the podium at its titular event. Saturday’s Texas Half-Mile also marks the season opener for the 11-round AFT Production Twins championship. The series, which has been designed to help up-and-coming AFT Singles riders adapt to faster, more powerful twins machinery, boasts a stacked entry list this weekend. Among the many notable riders competing is none other than Danny Eslick. A multi-time road racing national champion and Daytona 200 winner, Eslick is widely regarded as one of the sport’s most naturally gifted, exciting, and charismatic riders.